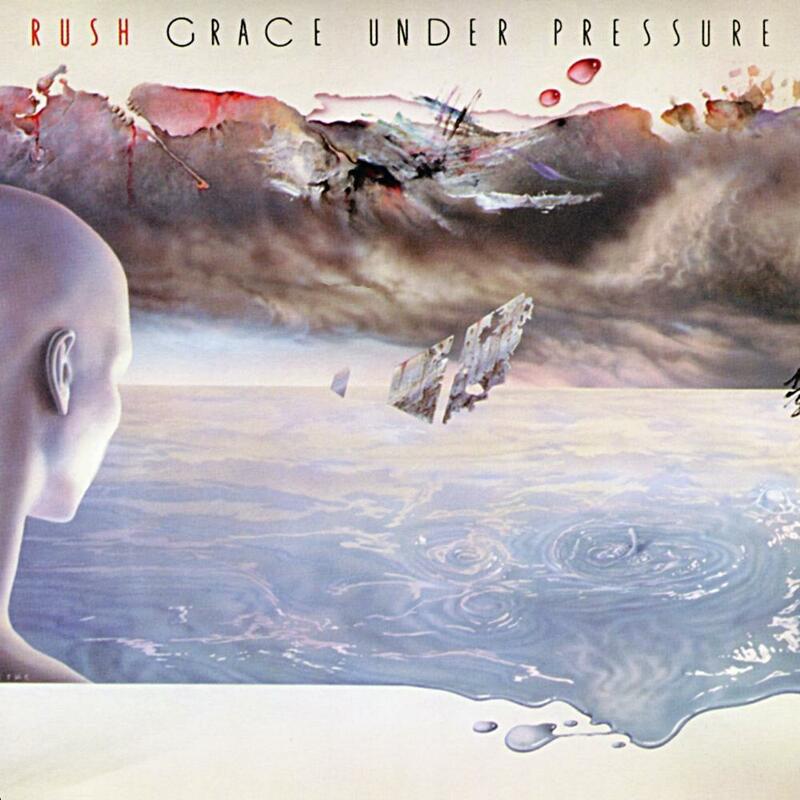 With Rush's 1980s sound now firmly in the shorter song format which evolved over their last three albums, Grace Under Pressure showed that a progressive rock band could adapt to the recording industry's pressures to chug out shorter stuff for radio and MTV. Unlike other progressive bands that released some of the most awful stuff in their long discographies, Rush was still releasing good quality material with inspiring, well thought-out lyrics, and incorporating various genre's styles into their own. Grace Under Pressure is quite similar to their previous album, Signals. The major differences are a change in producers and Peart's incorporation of Simmons electronic drums and percussion. The production is vastly improved in my opinion and that's chiefly why I consider this a better album than Signals, but the songs also seem more powerful too. In the past I have not made any positive comments about electronic drums. I don't think they've aged well over time and consider it just another one of those atrocious fads of the 1980s. But Peart is a drummer like no one else and as far as my ears go, he may have been the only drummer to make use of electronic drums and still have them sound good. He clearly has a fine-tuned ear for his craft far exceeding his contemporaries who were... well, I'm not sure what they were thinking actually, from the likes of Phil Collins, Alan White, Carl Palmer, and even Bill Bruford. Another excellent album in the extensive Rush catalogue and highly recommended for those of you who like more accessible prog. Still, not anywhere near as good as Moving Pictures and it's predecessors, but well deserving of four stars.